Each Fall, as the Troop resumes the regular fall schedule, all Scouts and adults in leadership positions are expected to attend a two-day conference to review Troop policy and to plan the troop meetings, camping trips, and establish the year’s schedule. All scouts First Class and above are highly encouraged to attend. Troop 39 goes on a weekend camping trip once a month. All members are expected to participate since this is the highlight of our Scouting Program. “Touch a Truck” annual fundraiser (April). Each outing, there will be a designated patrol member (the “Grubmaster”) responsible for purchasing food based on the menu derived by the Patrol/Patrol Leader. The Grubmaster should be reimbursed by patrol members no later than the Wednesday meeting following the outing. Scouts who make a commitment to a trip will be held accountable for reimbursing the patrol member who is responsible for the food regardless of whether they are able to attend the trip or not. Each patrol is issued a set of camping equipment and is responsible for its upkeep and proper maintenance. Troop 39 will provide tents for new Scouts but as a general rule, the troop does not provide tents for camping. While each Scout does not need to have his own tent, Patrol Leaders are expected to make sure each Scout attending a camping trip has a tent in which to sleep. New Scouts and parents are encouraged to talk with experienced troop members, parents and leaders about specific types of personal gear, brands, preferences, and suggestions before purchasing equipment. 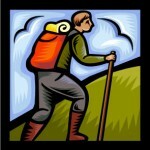 Items such as tents and sleeping bags can last many years so it is wise to make the best initial purchase. 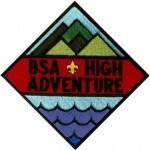 Troop 39 attends an approved BSA Council Camp each summer for a week. Details are typically announced at the Fall Court of Honor. Every Scout should plan to attend camp with the troop. Summer camp is one of the most important program experiences of the Scouting year. Any Scout wishing to attend an additional or alternate week of Summer Camp is encouraged to do so. Arrangements must be made directly with the camp on an individual basis. Troop 39 may provide financial assistance to families with a financial hardship. Talk to the Scoutmaster. Troop 39 emphasizes the “outing” in Scouting by offering opportunities to travel the World. 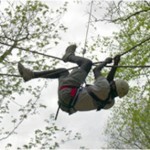 We offer trips to adventures few of their age group have an opportunity to experience outside of Scouting. To help fund these trips, scouts and families are encouraged to participate in troop fundraising activities like mulching and other individual fundraising activities. International and most domestic trips are announced at least a year in advance to allow fundraising time. Age requirements are set by either the activity center to be visited or by the trip leaders with approval of the troop committee. All trips must be approved by the troop committee and comply with BSA policies. All scout participants must have Scoutmaster approval. 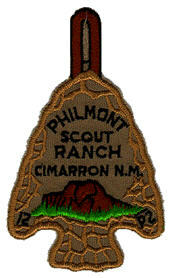 The BSA’s premier high-adventure base challenges Scouts with more than 200 square miles of rugged New Mexico wilderness. Backpacking treks, horseback cavalcades, and training and service programs offer young people many ways to experience this legendary country. Youth and adults take advantage of the ranch’s camping, training, and work programs. Note: offered through Troop 39 based on interest and leader availability. Northern Tier offers Scouts and Venturers the world’s best wilderness canoeing. 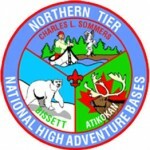 The Northern Tier offers many adventures, each geared to the goals and desires of your group. Visit the Northern Tier for an unforgettable journey through the heart and soul of Canoe Country. Beginning in December, scouts may participate in the challenging cold weather camping program called Okpik (OOk’ pick). Visit http://www.ntier.org/. 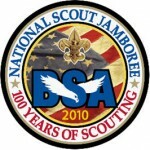 Scouts from across the nation gather at Summit Bechtel Reserve, West Virginia every four years. Each council is allowed to bring a specific number of representative scouts from their area. These participants form a council troop, which operates the same patrol method as a traditional local troop. Scouts can earn partial merit badges at the Merit Badge Midway, experience action sports, enjoy shows featuring major entertainers and generally our nation’s President, and spectacular fireworks shows. Participation ranges from 60-75,000 scouts and leaders on site for ten days. 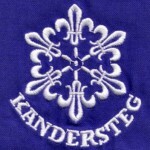 Kandersteg International Scout Centre is the only world centre of the World Organization of the Scout Movement (WOSM). The Centre began in 1923 with Lord Robert Baden-Powell, who, after the first World Scout Jamboree had a dream about a place where all Scouts from all over the world could meet. Summer in Kandersteg is often described as a ‘Permanent Mini Jamboree’, and with good reason too! Where else can you share an early morning breakfast with your Italian neighbors before heading off on a hike to a Swiss Alpine Cheesery with some German and Spanish Scouts? Then you can finish off the evening with a huge International Campfire, joining with Scouts and Guides from all over the world. Visit http://www.kisc.ch/. Note: offered every four years through Troop 39 to scouts at the Scoutmasters’ discretion. 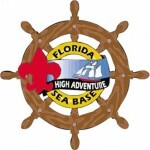 Members of Troop 39 have the opportunity to participate in British High Adventure. Scouts who are at least 13 but not yet 15 at the time of the event visit the United Kingdom for three weeks. 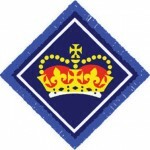 They traditionally attend a British summer camp with our partner troop, the 26th Northcote Scout group in Bristol, England, for ten days and spend a few days with families from the 26th. Each Adventure group selects activities around the UK for the remainder of the trip. Most groups spend three or four days in London visiting tourist sites and activities. Other activities have included caving in Cheddar and bicycling through Exmoor. Note: offered every two years through Troop 39 to scouts at the Scoutmasters’ discretion.